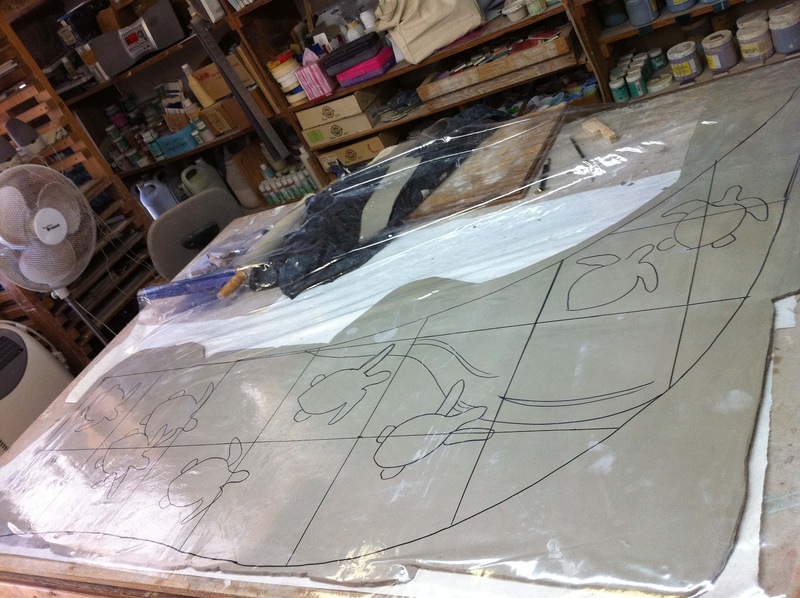 Hi, I am working on the turtle table top. 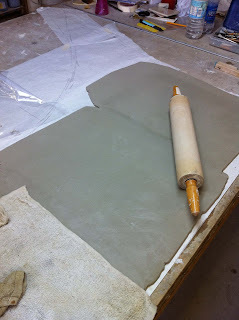 The clay has been pugged, slabs have been rolled and the clay has been joined on the work table. I have transferred the pattern to a plastic template with a sharpie pen. As you can see, I can now trace the pattern onto the slab. After this is done, I will sculpt the turtles into the clay. I need to do this quickly as the clay will dry and I will only have a day or so to do all the sculpting. have a great day. Diane.